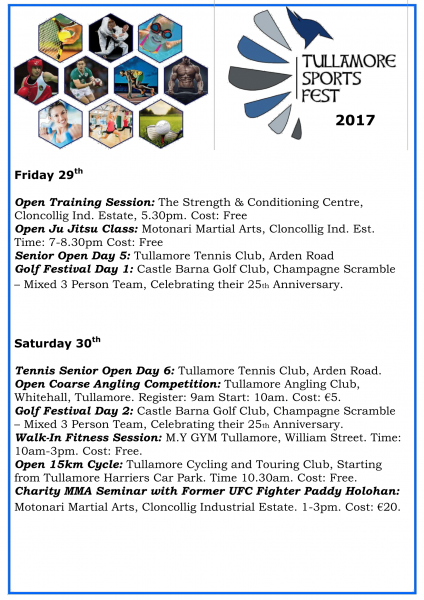 In its inaugural year, Tullamore Sports Fest, a joint venture between Offaly County Council and Tullamore Chamber of Commerce has strived to improve awareness of sporting opportunity in the town. Today, evidence of this can be seen through the publishing of the schedule of events which features a wide variety of sport from angling to hockey, from lawn bowls to basketball, from badminton to squash and so on. 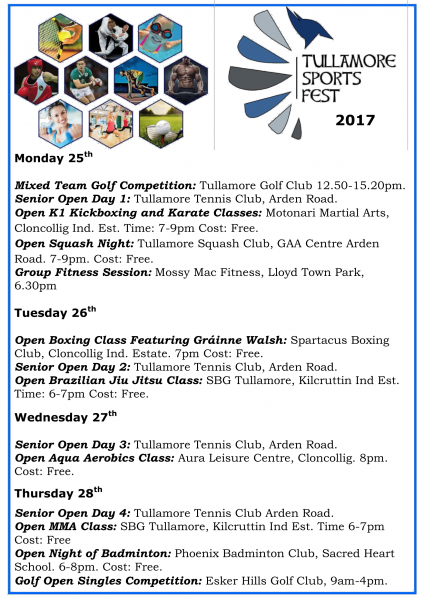 It is anticipated that this week of sporting events will give the people of Tullamore and its surrounding areas the motivation to lead a healthier lifestyle through increasing their levels of physical activity. 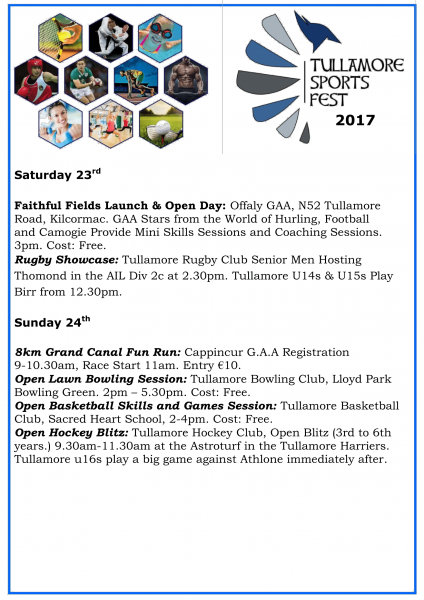 Furthermore, the numerous sports clubs in Tullamore will benefit from an increase in members to ensure that they can survive and keep Tullamore’’s reputation for being a town that prides itself on its sporting opportunity and heritage. The week of sport takes place in conjunction with the European Week of Sport, a week long celebration of sport throughout Europe. WIth over 34,000 events taking place in the continent over the next week, we are proud that Tullamore can say it played it's part in such a worthy initiative.